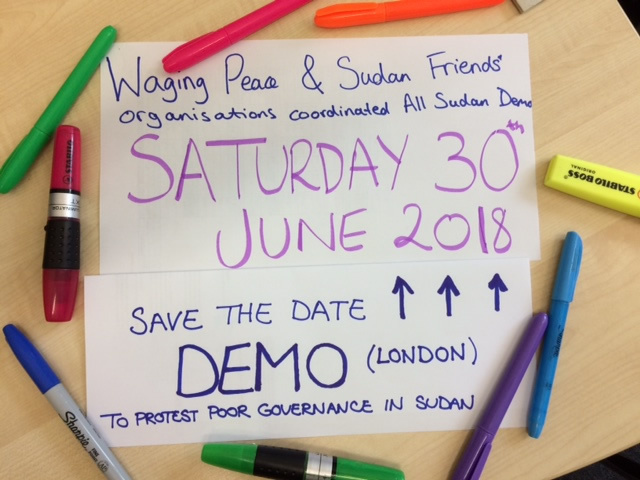 We are organising an All Sudan Demo on Saturday, 30th June 2018 to mark 29 years since President Omar al-Bashir assumed office after a military coup in 1989. We are uniting against poor governance in Sudan. We will be assembling outside of the Embassy of Sudan, London at 3 Cleveland Row, St. James, London SW1A 1DD at 13:00. The march will then begin to move down to 10 Downing St, Westminster, London SW1A 2AA at 14:30, aiming to arrive at 15:30. Outside of 10 Downing Street, there will be speakers and petitions at 15:45 with the dispersal of the demo at 17:00.